After strapping on the Garmin fenix 2, the first thing you notice is that it’s a WATCH. It’s big, substantial, and weighty. The fenix 2 feels like it can withstand some rigorous use. Physically, it’s the exact size and weight as the fenix. But while it has a similar plastic casing, the buttons are black instead of orange and silver – giving it a sleeker look. The watch face size and screen resolution haven’t changed; however, the display coloring is now a black background/white lettering (and optional red LED backlight) instead of the gray background/black lettering found on the fenix. The screen itself is made of curved mineral glass to resist scratching. Battery-life remains consistent. It still boasts a powerful 20 hour (during GPS use) battery and 5 weeks in plain, old watch mode. The biggest update is the addition of multi-sport. This feature allows you to quickly change between activities with a single button (i.e. swimming to cycling), essentially making the fenix 2 a new Garmin option for triathletes. If you’ve read my review of the original fenix, you’ll remember it had a lot of great features that could be used running and cycling – but weren’t optimized for running and cycling. Garmin fixed that with the fenix 2. My biggest annoyance was the start/stop timer. This was mysteriously hidden among the fenix’s buttons and required a two-button combo to start the timer. The fenix 2 corrected that – starting/stopping requires one button push. Easy! My favorite running feature additions are interval and advanced workouts and virtual partner. Interval and advanced workouts allow you to program a complex workout on the watch (12 x 400 meter intervals, for example) rather than manually tracking yourself. The virtual partner lets you set a specific pace to run against a virtual person running that exact pace. 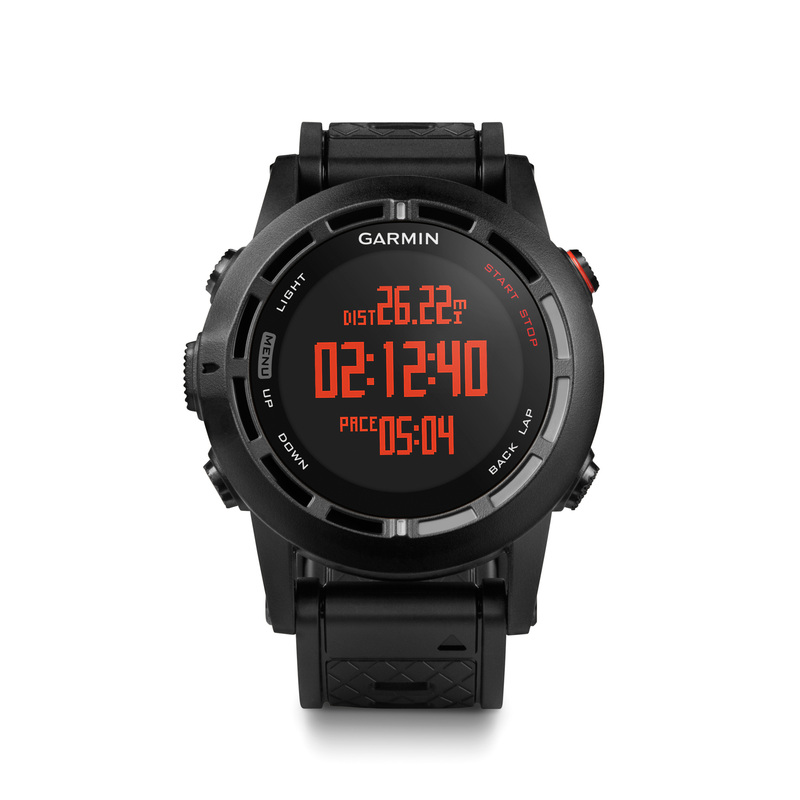 These features bring the fenix 2 more in-line with Garmin’s dedicated running watches. 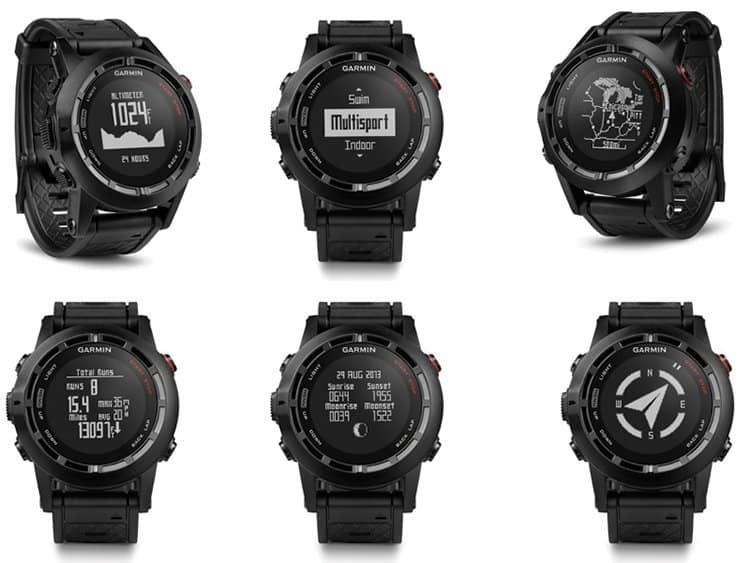 The fenix 2 also includes Garmin’s suite of Running Dynamics and coach analytics. These include vertical oscillation, ground contact time, and cadence (see my full explanation here) – basically these tell you cadence in different metrics. The running coach comprises of a VO2 Max estimator, recovery advisor, and race predictor. Accuracy is questionable with these, so I’d consider them nice-to-haves, rather than vital features. But one caveat – you need to wear Garmin’s HRM-Run chest strap to make use of these new additions. Another big change is the addition of swim tracking. Like the 910XT and 920XT, the fenix 2 can measure swimming metrics (including distance, speed, and stroke count) both in pools and open water. In addition, the fenix 2 counts tracks laps in the pool. Enhancing the multi-sport feature, cycling metrics have been improved by adding power meter compatibility. Unlike the 910XT and 920XT, there is no quick-release for bike mounting – but otherwise the cycling feature-set is very similar. Smart notifications: Pair the fenix 2 with your phone (and keep the phone nearby) to receive texts and emails on the watch. Useful for staying on top of important messages without pulling your phone out during a run. Bluetooth: Upload your workouts onto Garmin Connect through a compatible smartphone. No more desktop uploads! Vertical Speed: Track how fast you’re losing or gaining vertical elevation. Great for downhill skiing or snowboarding! Altimeter: One of the best ways to track elevation! Electronic compass: Just what it sounds like. Temperature sensor: The fenix 2 has a built-in temperature sensor; however, body heat can distort the readings. A better option is buying the tempe to clip onto something that’s not directly against your skin. On-screen Breadcrumb map and huge waypoint storage: Navigation has never been easier on a GPS running watch. Create a route to upload and follow or use the map to see where you are in relation to where you’ve been. Waypoints can be added both ahead of time or on the fly. Mark important spots so you can easily find them again. Track Back: Helps keep you from getting lost. Use this function to help find your way back to where you started. You can either backtrack the way you came or blaze a new path. Track Back will lead you back to where you started. Auto-lap and auto-pause: Great for running and cycling. Laps will be auto-created at a distance of your choosing. Auto-pause stops the watch automatically when you stop. Ski/snowboard mode: Similar to auto-pause and auto-lap, the fenix 2 can detect when you’re skiing/snowboarding vs. riding the chairlift, then auto-pause on the lift and mark a lap accordingly. Live Tracking: Friends and family can track you in real time when you pair your phone with the fenix 2. Great for your spectating family to know where you are during a large race. Overall, the fenix 2 is a feature-rich watch for people who do lots of different activities. While it’s a great option for triathletes, it works equally well for runners or cyclists who dabble in other activities. Alternately, if you’re concerned with a sharp-looking AND functional watch, the fenix 2 is a great choice. The fenix 2 rivals Garmin’s dedicated running watches (the Forerunner 230/630 line) in its set of running features. It’s got a great battery-life; however, some runners may find the additional weight distracting. Pretty adequate here. Many good cycling features, but the lack of an easy way to mount the watch on a bike could be annoying. With the new swim metrics, the fenix 2 is great for serious swimmers, both in the pool and in open water. 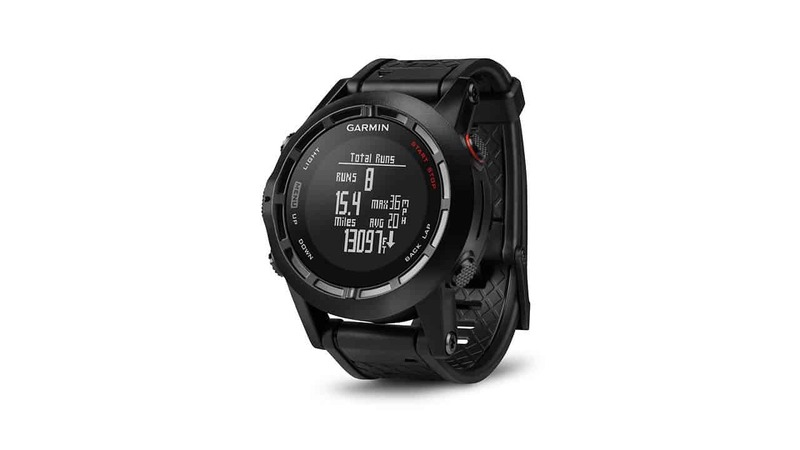 Long battery life, great navigation features, and rugged durablity make this a great watch for hikers, especially those who also run, bike, or swim. Vertical speed and the auto-pause and auto-lap for each ski run make this perfect for downhill skiers/snowboarders. 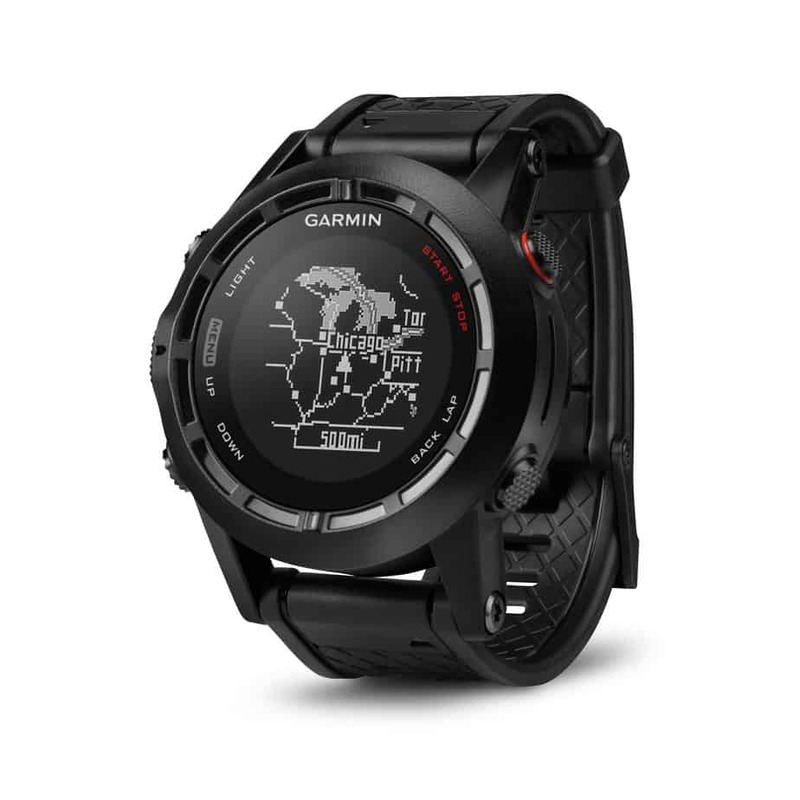 The long battery life and navigation features make this a nice watch for runners going all day and night on road and trail.